Keeping customers happy and keeping them coming back for more is the goal of any business. To do that, in just about any industry you care to mention, means delivering a high quality, swift and reliable service. However, being able to deliver that service can mean relying on a host of others – from different distributors, delivery companies, parts suppliers, stockists . . . you get the idea. There are plenty of potential hazards to navigate in the quest to keep that customer happy. And so it is for the tyre industry’s independent retailers and fitters. With dozens of tyre sizes across hundreds of brands now available, unless a tyre shop has a warehouse the size of Wembley Stadium tucked behind the store, it is impossible for them to be able to cater for every purchasing eventuality. Relying on others to supply what they need, when they need it, is crucial. 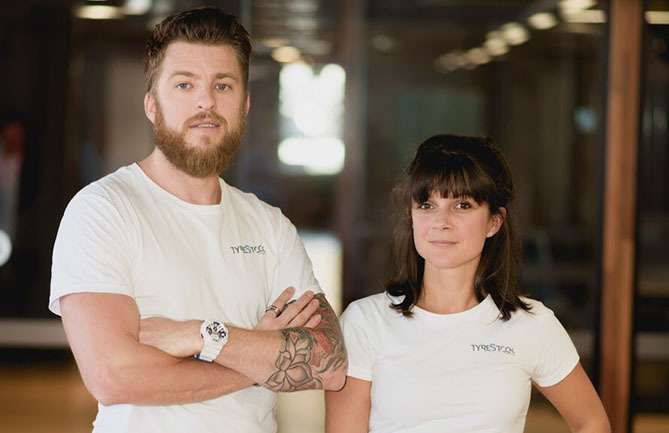 Making that process simple, lightning quick, and reliable for both the tyre fitter and the consumer is the sole aim of Tyrestock, a start-up company founded in Brisbane by the husband and wife team of William Amiot and Elodie Desporte-Duperry. 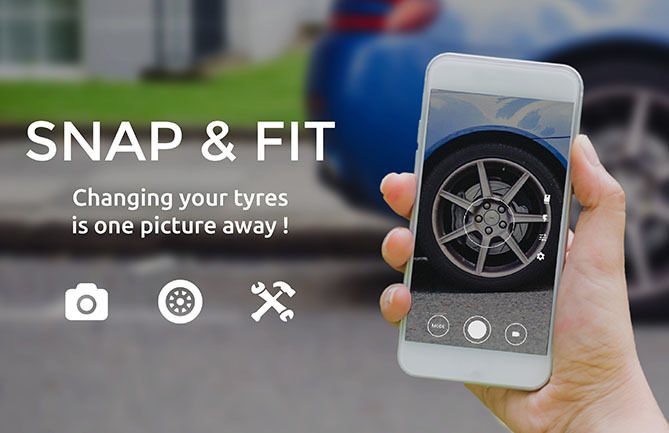 An online ‘one-stop shop’ for tyre fitters and consumers, Tyrestock harnesses some ingenious and practical ideas, including visual recognition technology, that could make it an industry game changer. “For tyre fitters, Tyrestock is the only tool they will need,” said William. “It enables them to buy tyres from different suppliers and get their orders delivered in under two hours. ‘Game changer’ seems about right. Already involved in the tyre industry through their international importing and exporting business, Axxess Tyres, William and Elodie talked to many independent fitters when researching the industry and discovered their biggest issues were time, stock, and the complexity of the current ordering system. “What we found was that they struggled with time – they simply ran out of it,” said William. “Currently, the vast majority of wholesalers offer only two deliveries a day with cut-offs at 9am and 12 noon. That’s a problem for the independent fitter. For example, if a customer comes in at 9:10am and their tyre has to be ordered, they can only be served late that afternoon, after the 12-noon cut off. Tyrestock, said William, is the solution to these problems. “With Tyrestock, no matter what time a customer comes to the fitter, it will take just a few minutes to order the tyres, and that order will be delivered in less than two hours. The business-to-consumer element of Tyrestock features innovative visual identification technology. Customers can upload a photo of their current tyre and the system automatically reads the sidewall data before offering that same tyre, and its equivalent in other brands, as a purchase option. It’s clever stuff, designed to keep things simple. 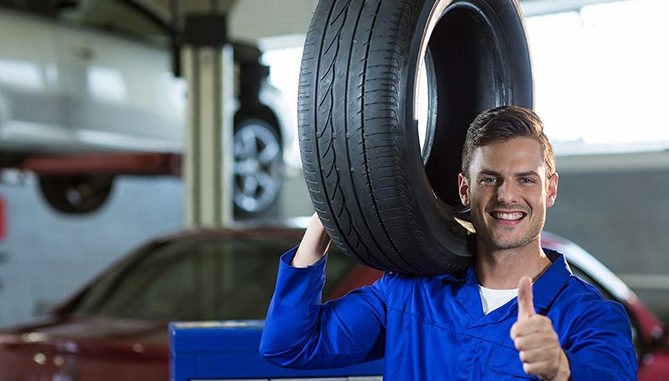 And with the consumer able to use Tyrestock to also choose the closest fitter to their location as the delivery point for their purchase, as well as book an appointment to have the tyres fitted, Tyrestock certainly delivers an easy-to-use experience. “Our aim is to bring a lot of innovation to the system,” said William. “Even if a customer has no knowledge of tyres, the system will scan the uploaded image and give them an option from our exhaustive stock list. They really don’t have to do much – the platform does it all, from tyre choice, to purchase, to delivery, to appointment.